Suqqu introduced 3 limited edition quads for Spring 2013. I leaned towards the Ex-11 as it darkest shade just intrigued and tugged at my inner grunge goddess - a deep plum with a green duo chrome which imparts a sooty lived-in effect. 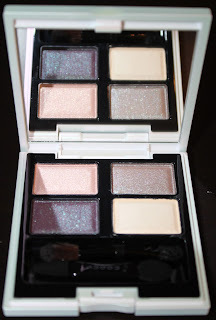 What surprised me most is how I am loving the other 3 shades in the compact as well. Sumiredama is housed in a white pearlescent casing, which is different from their usual black. The colours are all the same buttery smooth texture, with the same iridescence. The top left shades is a pretty pale salmon. The taupe is duochrome and complex and unique to all the taupes in my own collection. It has the same green shade that is in the plum shade. 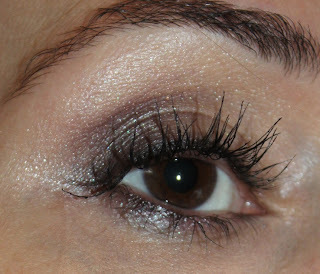 The plum shade is a mix of plum and green duochrome that even in some light looks blue. The cream is fresh and perfect for blending the other shades and for highlighting the inner corner of your eyes. This quad is quintessentially Japanese. Superior texture, iridescent, and beautifully pigmented. 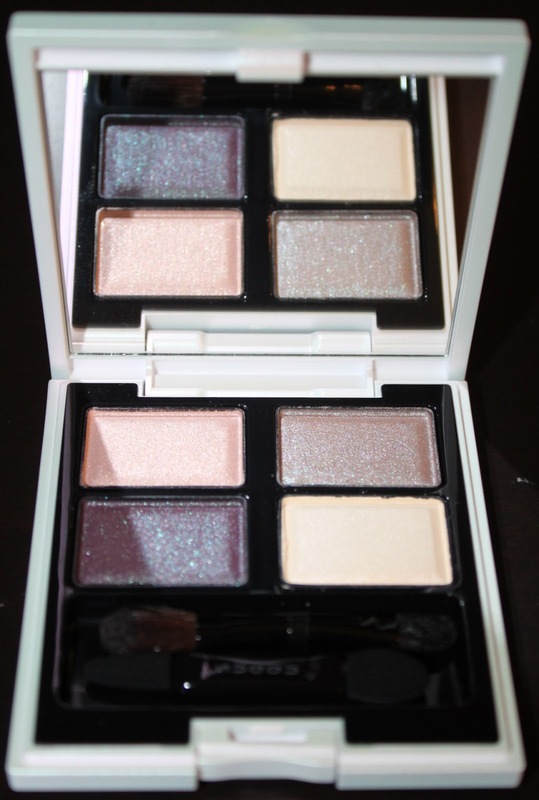 There is a lightness in the looks that you achieve with this palette that is the epitome of Japanese beauty. Suqqu is really growing on me. I really like my previous Suqqu quad EX-07 Tsukiakari (reviewed here), but have falling head over heels for Sumiredama. At first glance the taupe shade of both quads look the same but are actually infinitely different. The salmon shade in Sumiredama is paler with more of a white undertone. These three looks are just the tip of the iceberg, and I am loving every minute exploring the possibilities. I bought this palette happily as I know I will use it often! What are your favourite Japanese brands? Do you like the sheer, sparkly effect that most Japanese brands have?